Montrose Music Festival, or MoFest as it’s become affectionately known, takes place at the end of May each year in Montrose, Angus. Spread over three days, the festival has become a highly anticipated part of the live music scene in Scotland and is widely regarded as the biggest free music festival in Scotland. 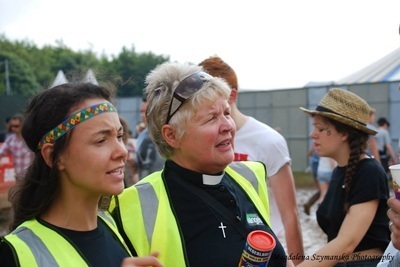 This year Street Chaplains from Dundee will be involved as Festival Chaplains working with the organisers and helping people who attend the festival who may become vulnerable over the weekend. 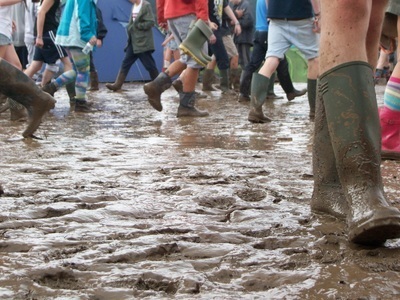 Festival Chaplains will be there to hand out water, flipflops and ponchos if it rains and also will be there to have a listening ear and a helping hand. We are a group of people from the local churches in Dundee and Montrose who are here to help in a practical way and is part of a growing number of outreach initiatives at Festivals linked to Festival Network. Enjoy meeting new people but remember that they are strangers so beware of trusting them with anything valuable or finding yourself alone with them. When you arrive at the campsite, try to find a well-lit plot near either the zone manager’s site or close to a fire tower. 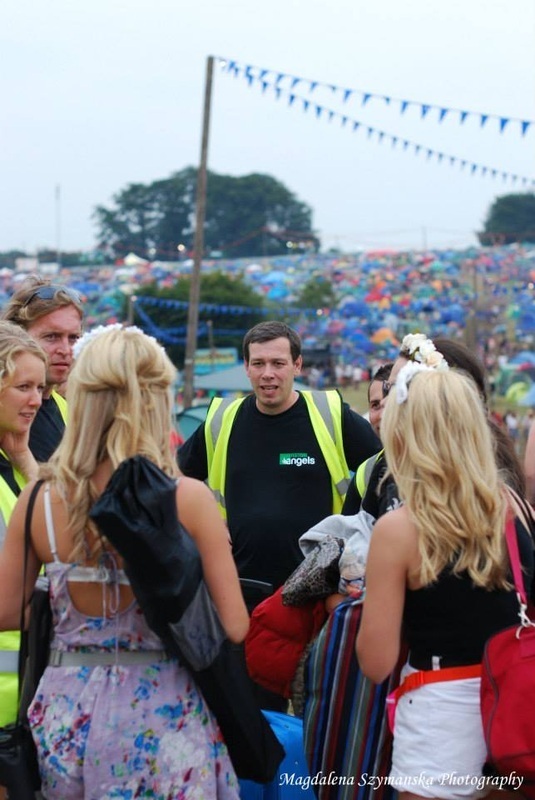 Make friends with the campsite staff if possible and ask them to keep an eye on your tent. Don’t forget to keep your mobile charged so that you can communicate at all times. Check out if there are onsite recharging facilities when you arrive at the campsite. It’s always a good idea to agree where your group will meet at certain times of the day, in case someone loses their phone/has it stolen/batteries die etc. and they can’t be contacted. It’s true what they say about safety in numbers: Stay in groups and avoid wandering off on your own. Stick to well-lit, busy areas, especially at night. Stay alert - the sooner you see or hear potential trouble approaching, the more likely it is that you will be able to avoid it. Remember, alcohol or drugs can seriously affect your ability to make safe judgments or to react swiftly in an emergency situation. Never leave your drink unattended. Even soft drinks can be spiked with drugs or alcohol. If you see an individual or group becoming ‘over-boisterous’ or aggressive, move away before trouble kicks off. Be aware how you act and come across, especially when you’ve been drinking. Do you get aggressive when you’ve had a few drinks? Or could you inadvertently attract trouble by the way you behave when you are drunk? If you’re not sure, talk to your mates about it and get their honest opinion. If you have a friend whose behaviour or attitude (drunk or sober) attracts trouble, pick a good time and have a word with them. Make it plain that you are not going to be dragged into trouble because of their behaviour. If you return to your tent to discover a stranger in it, think carefully before trying to tackle them – they could be armed. It would be far safer to stand back and call for help. If you have a personal safety alarm on you, set it off to attract attention of staff. Leave your valuables at home if possible. 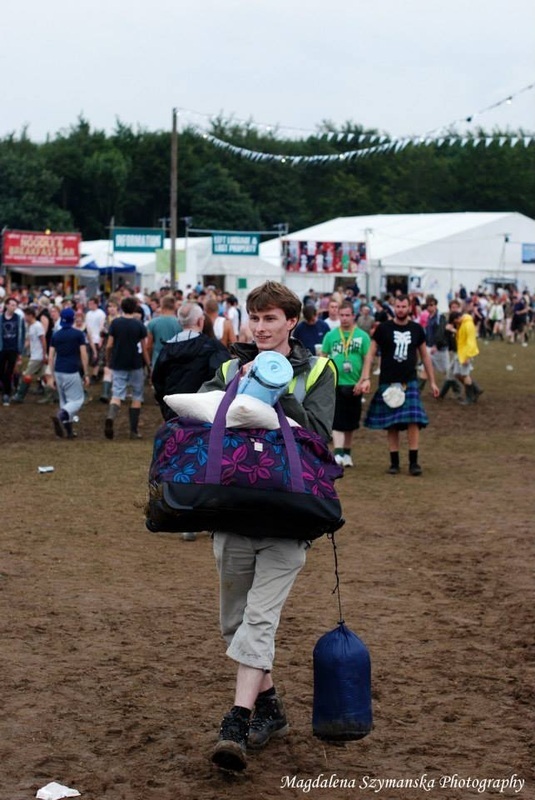 If you do need to take anything valuable with you, make use of the locker facilities available at most festivals. Don’t leave anything valuable in your car. Check it daily. Leave your glove compartment empty and open. Try and keep your cash and cards on you, even at night. Keep a note of your bank’s emergency number so you can call them if your cards are stolen. Avoid putting a padlock on your tent as thieves will assume this means there are valuables inside. Your property and tent are far less likely to be stolen if they are marked with your name and postcode. 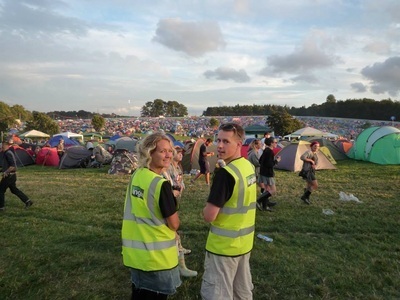 If you are a victim of crime, contact on site police or festival security immediately. Report any incident, even near misses, as soon as possible. You may save someone else. Consider carrying a personal safety alarm. Never assume it won’t happen to you. Even though the risks are small, they are there – so don’t take any unnecessary chances with your safety. At a music festival you can spend several hours in the sun, so protecting yourself from the sun's harmful rays is vital. 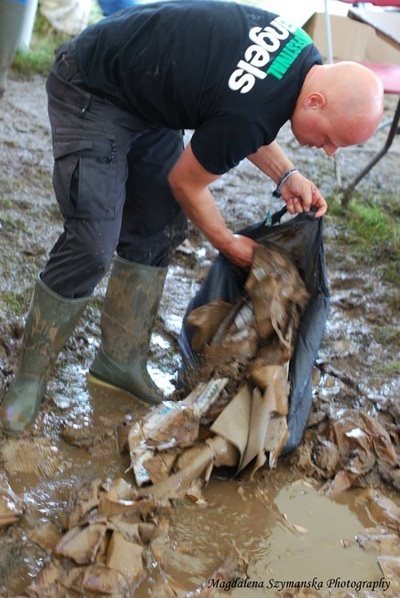 Wearing a wide-brimmed hat, regularly applying sun cream of at least factor 15 and using an after-sun lotion will ensure that your festival experience isn't ruined by sunburn, dehydration or worse. Sunburn is skin damage caused by ultraviolet (UV) rays in sunlight. Your skin overheats and becomes red and painful and may later peel or blister. Cool the skin down by dabbing it with a cool, wet towel or tissue. If the burn is really bad, have a quick cold shower. Don't go back into the sun until the sunburn has healed. Drink plenty of fluids in order to cool down and replace the water lost through sweating in the sun. Apply calamine or after-sun lotion. For adults, painkillers such as paracetamol or ibuprofen can relieve pain and reduce swelling. Dehydration occurs when the normal water content of your body is reduced. If you are thirsty, you're already likely to be suffering from the effects of dehydration. The signs of dehydration include a dry mouth, lips and eyes, clammy hands and feet, headaches, lightheadedness, and concentrated, dark urine with a strong odour. Isotonic drinks are good as they help replace lost minerals as well as sugar and water. A sweet drink, such as cola, can be useful for replacing lost sugar, but lots of water is the best way to rehydrate. A salty snack, such as a packet of crisps, can help replace lost salt. Heat exhaustion occurs when the body can't control its temperature due to overheating. Symptoms include headaches, dizziness, nausea and vomiting, muscle weakness or cramps, tiredness and high temperature. To cool your skin, shower or sponge yourself using lukewarm water. If it's not treated, heat exhaustion can develop into heatstroke, which can occur suddenly and with little warning. In addition to the symptoms of heat exhaustion, other signs of heatstroke include confusion, hallucinations, unconsciousness, palpitations, flushes, and hot and dry skin. The person needs to get their body temperature down as quickly as possible - give them water to drink and cover them with a damp towel or sheet." 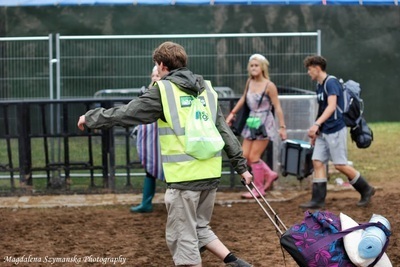 Contact first aiders at the festival, as the person with heatstroke may need to go to hospital where they can be given intravenous fluids through a drip and medication to lower their body temperature.